Texas Gov. 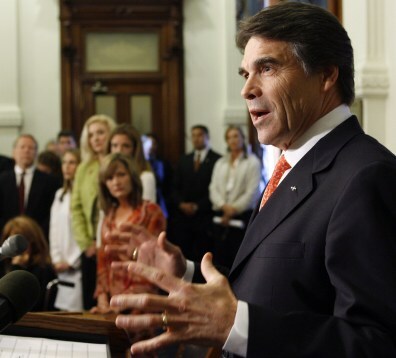 Rick Perry speaks during a news conference on May 8, 2007, in Austin. Perry made national headlines when he issued the executive order requiring the human papillomavirus vaccine for sixth-grade girls. Some of the women in the background on the left are victims of HPV.